The Mountain Times in partnership with Vermont Adaptive and Spartan, and with the sponsorship of ten local businesses, told the story of Vermont Adaptive athletes in a five-week series reaching approximately 100,000 readers. In support of this effort, Spartan Races donated Spartan Beast and Sprint entry passes to participating businesses. A portion of the proceeds will also be donated to Vermont Adaptive Ski & Sports. 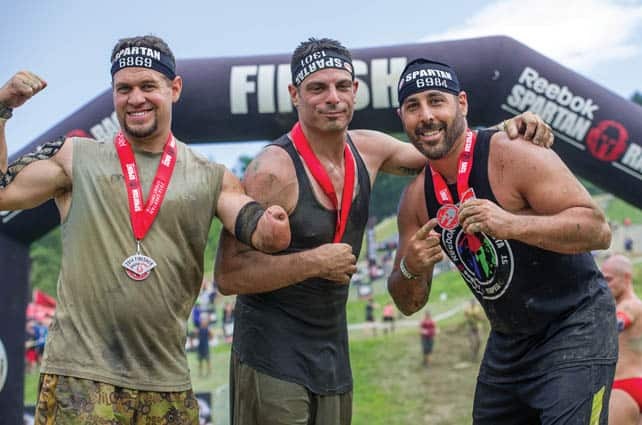 The five-week series culminates this week with the Spartan Races at Killington Resort. Vermont Adaptive Ski and Sports is the largest organization in the state of Vermont to offer daily, year-round adaptive sports programs for diverse populations of people with different abilities. They provide sports and recreation opportunities to aid physical, mental and social experience promoting self-confident, independence and joy for those facing obstacles. This year, Vermont Adaptive had a goal of raising $135,000 for their programing and equipment so that they can help more adaptive athletes achieve their goals. For more information visit vermontadaptive.org.